Oesophageal motility disorders are a group of conditions characterised by abnormalities in oesophageal peristalsis. They are less common than mechanical and inflammatory diseases of the oesophagus, and typically manifest with difficulty swallowing solids and liquids together. In this article, we shall look at the two major causes of oesophageal dysmotility – achalasia and diffuse oesophageal spasm. The upper oesophageal sphincter is comprised of skeletal muscle, and prevents air from entering the GI tract. The lower oesophageal sphincter is composed of smooth muscle, and prevents reflux from the stomach. Peristaltic waves, controlled by the oesophageal myenteric neurones, propel ingested food down the oesophagus. The primary wave is under control of the swallowing centre and the secondary wave is activated in response to distention. 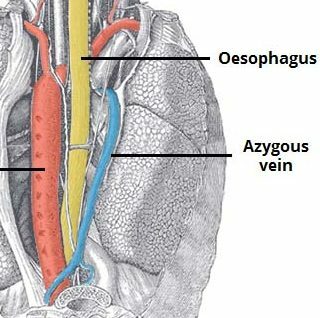 As food descends the oesophagus, the lower oesophageal sphincter relaxes and allows food to pass. Achalasia is a primary motility disorder of the oesophagus, characterised by a failure of relaxation of the lower oesophageal sphincter and progressive failure of contraction of the oesophageal smooth muscle. It is relatively rare condition (incidence of 1 per 100,000) with a mean age of diagnosis at ~50yrs. The pathophysiology of achalasia is poorly understood, but a common histological feature is progressive destruction of the ganglion cells in the myenteric plexus. The high resting tone and failure of relaxation of the lower oesophageal sphincter means that the food bolus may get stuck and fail to pass into the stomach. It also causes further dysfunction of the more proximal oesophagus (due to it continually squeezing against a fixed outflow). Patients with achalasia will classically present with progressive dysphagia when ingesting both solids and liquids. This eventually leads to vomiting and chest discomfort. Other clinical features of achalasia include regurgitation of food, coughing (due to overspill and aspiration, especially at night), chest pain, and weight loss. The symptom severity frequently varies day-to-day. On examination, there are rarely any obvious signs of note, except for visible weight loss in longstanding or severe cases. In any patient presenting with dysphagia, the diagnosis of oesophageal cancer needs to be excluded. Hence, nearly all such patients will require an urgent endoscopy. This is often normal in achalasia, but a tight lower oesophageal sphincter may be observed (which may suddenly give way). 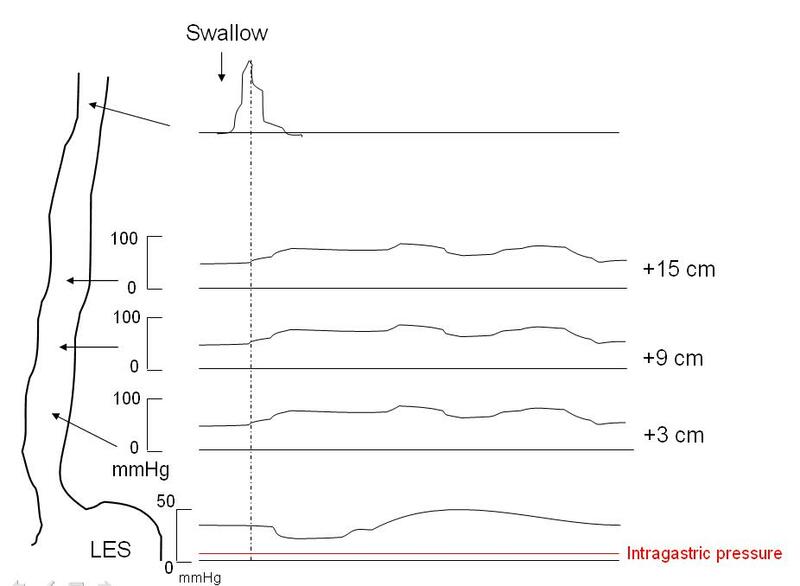 The gold standard in the diagnosis* of motility disorders is oesophageal manometry (Fig 3). This is where a pressure sensitive probe is inserted into the oesophagus (tip placed 5cm above the lower oesophageal sphincter). It measures the pressure of the sphincter and the surrounding muscle. 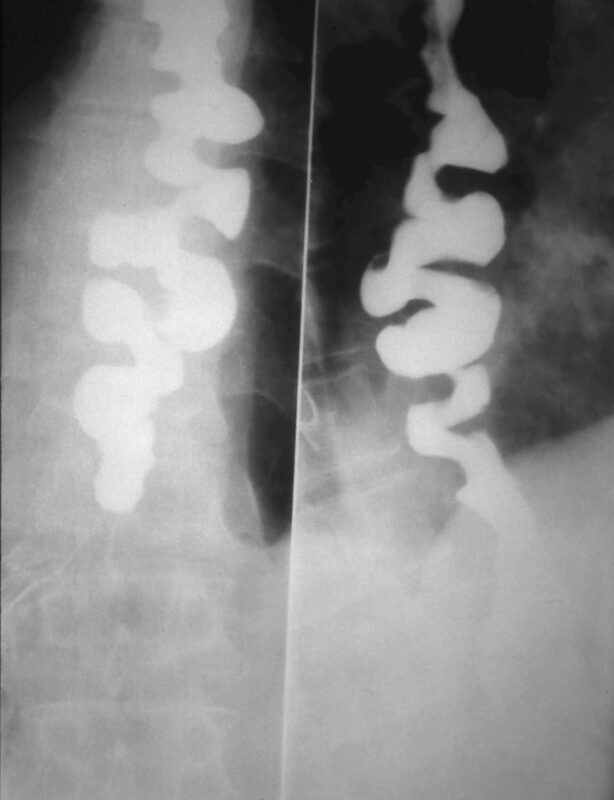 *Barium swallows are now rarely performed (Fig. 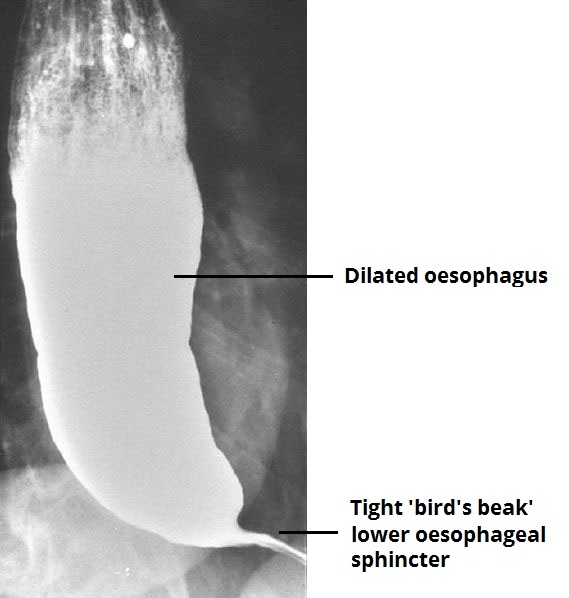 2), but they may show proximal dilation of the oesophagus with a characteristic ‘bird’s beak’ appearance distally (due to the failed dilation of the lower oesophageal sphincter). Conservative measures include sleeping with many pillows to minimise regurgitation, eating slowly and chewing food thoroughly, and taking plenty of fluids with meals. Calcium channel blockers or nitrates can be partly effective for temporary relief, but their action is typically short lived. Likewise, Botox injections into the lower oesophageal sphincter by endoscopy are effective however only for a few months at most. Laparoscopic Heller myotomy* – the division of the specific fibres of the lower oesophageal sphincter which fail to relax (Fig. 4). *A recent meta-analysis found that a newer technique, per oral endoscopic myotomy (POEM), when compared to Heller myotomy, is more effective in relieving dysphagia however associated with a very high incidence of pathologic reflux. Patients with long standing achalasia have an x8-16 increased risk of oesophageal cancer, although the absolute risk remains small. Figure 4 – Laproscopic myotomy. A – blunt dissection, B – myotomy extent proximal and distal to the lower oesophageal sphincter. Diffuse oesophageal spasm (DOS) is a disease characterised by multi-focal high amplitude contractions of the oesophagus. It is thought to be caused by the dysfunction of oesophageal inhibitory nerves. In some individuals, DOS can progress to achalasia. Patients with diffuse oesophageal spasm will typically present with severe dysphagia to both solids and liquids. Central chest pain is a common finding, usually exacerbated by food. Interestingly, the pain from DOS can respond to nitrates, making it difficult to distinguish from angina pectoris (yet this pain is rarely exertional). Examination is often normal. Diffuse oesophageal spasm is investigated in the same manner as other motility disorders, with the definitive diagnosis* made via manometry. Endoscopy is usually normal. Manometry characteristically shows a pattern of repetitive, simultaneous, and ineffective contractions of the oesophagus. There may also be dysfunction of the lower oesophageal sphincter. The initial management is through agents which act to relax the oesophageal smooth muscle, typically nitrates or calcium channel blockers (CCBs) as first line. These limit the strongest of the contractions, and so provide a symptomatic improvement, although their long-term efficacy is uncertain. Patients with diffuse oesophageal spasm and documented hypertension of the lower oesophageal sphincter may benefit from pneumatic dilatation. Myotomy is reserved for the most severe cases and must be used with caution due to the invasive nature, with the incision involving the entire spasmodic segment and the lower oesophageal sphincter. 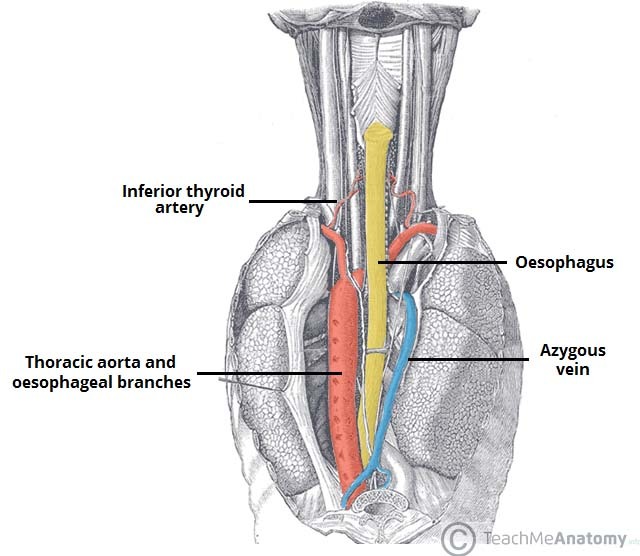 A number of autoimmune and connective tissue disorders are associated with oesophageal dysmotility. These include systemic sclerosis (most common), polymyositis, and dermatomyositis. In these cases treatment is directed at the underlying cause (e.g. immunosupression in autoimmune-mediated disease), with nutritional modification and proton pump inhibitors as required. Which of the following manometric findings is NOT consistent with achalasia? Which motility disorder is associated with a 'bird beak' appearance on barium swallow? Which of the following is not a surgical treatment option for achalasia?